90+3' The end of the match in Vinkovci. 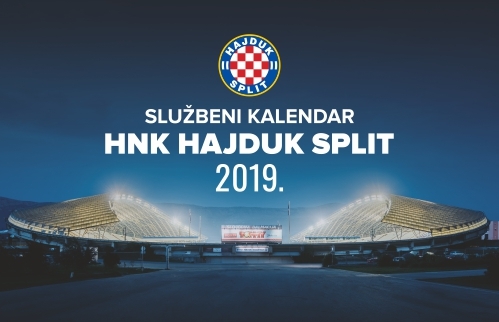 Hajduk beat host Cibalia 5:0 and in the next round, they travel to Maksimir, where the biggest derby of Croatian sports will be played. 90' Three minutes of added time will be played. 88' Hajduk is playing great in the second half. They continue a streak of good results that has started in the late autumn. 82' Franck Ohandza, who scored two goals and added an assist leaves the game with a big applause. 17-year-old Michele Sego substitutes him. 80' GOOOOOOOOOOOOAAAL! Franck Ohandza! 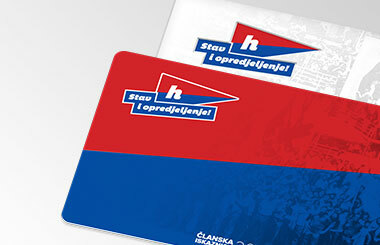 Cibalia - Hajduk 0:5! 76' GOOOOOOOOOOOOAAAAL! Franck Ohandza! Cibalia - Hajduk 0:4! 69' Fomitschow's strong shot from 14 meters, with the help of the post, deceived goalkeeper Brkic for a bigger Hajduk's lead. The away team is close to winning three new points. 69' GOOOOOOOOOOOOAAAL! Andre Fomitschow! Cibalia - Hajduk 0:3! 61' GOOOOOOOOOOOOAAL! Mijo Caktas! Cibalia - Hajduk 0:2! 60' Muzenjak got the yellow card. 58' Radosevic passed the ball to Caktas, who tries a header from 12 meters, but it was not strong enough attempt to surprise Brkic. 57' Basic fouled at 25 meters from Cibalia's goal, free kick for Hajduk. 54' Radosevic passed a rebound to Caktas and Ohandza, but home defense clears into a corner. 47' Caktas passed the ball to Juranovic, whose shot went wide of the goal. 46' The second half has started in Vinkovci. Go Hajduk! 45+1' End of the first half. 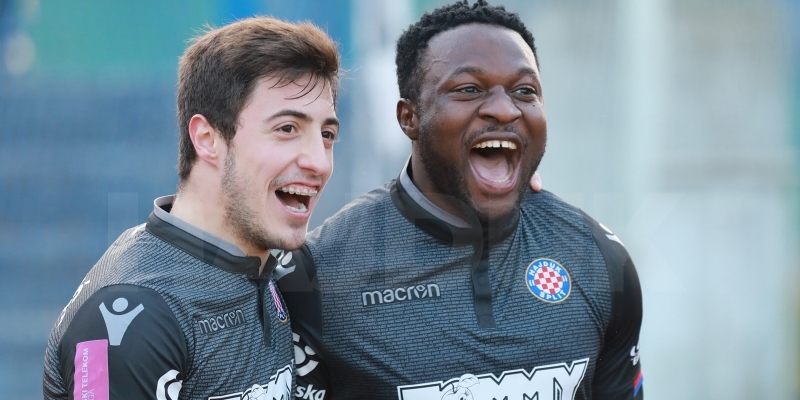 Hajduk is leading thanks to Ahmed Said Said's goal. 40' GOOOOOOOOOOOOAAAAL! Ahmed Said Said! Cibalia - Hajduk 0:1! 30' Plum got cautioned because of an incautious foul on Fomitschow. 25' Good reaction of Letica, who cleared Dabro's header after Cibalia's free kick. 20' There are no chances in the last 6-7 minutes, the game takes place in the middle of a not really ideal pitch in Vinkovci. 13' Kordic got the ball at some 10 meters from the goal but didn't catch it well and his shot was wide. 9' Fantastic shot of Ohandza from 30 meters from the volley, the ball was going under the crossbar, but Brkic saves into corner. 7' Nizic steals the ball from the home attack and crossed till some 30 meters from the goal, from where he shot but goalkeeper Brkic catches the ball. 2' Kordic somehow won the ball in front of the goal of Hajduk, the ball crosses over Letica, but Borja Lopez clears this attempt at the goal line. 1' Match referee Mario Zebec blew the whistle, the match has started. 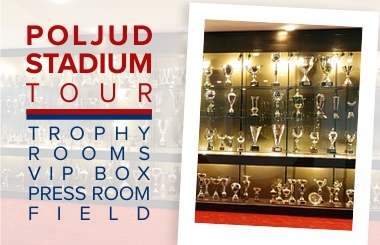 Good luck, Hajduk!